The types of plants that can be grown on a hydroponic system, is controlled firstly by the Hydroponic System Design. There are three main types namely NFT( Nutrient Film Technique) DWC( Deep Water Culture) and media beds. NFT is most commonly used to grow leafy greens and herbs, this includes crops like lettuce, basil, and coriander. The main characteristic of these crops is that they have a small root system, do not grow more than 2-3 ft in height, do not require trellising or support in most cases and can grow with smaller inter-plant spaces. They also do not require as much direct sunlight as other crops, in fact, basil tends to grow larger leaves and therefore more harvestable matter when grown in shady areas such as inside a structure like a polyhouse. The kinds of leafy greens that can be grown on an NFT hydroponic kit in India are divided into two main seasons i.e cold and hot weather crops. Cold weather crops include things like lettuce and bok choy when it comes to greens and thyme, rosemary, dill, and fennel when it comes to herbs. NFT hydroponics makes it easier to perform temperature control and root zone temperature maintenance with the help of external cooling mechanisms like a chiller. This is because NFT almost always has an external reservoir tank meaning the water flow can be controlled. NFT summer crops include crops like Spinach, Basil, Amaranthus, cintanella asiatica and mint that can survive 40-degree root zone temperatures. Without the use of climate control and cooling technologies, it will not be possible to grow cold weather crops in hot climates. DWC is a method used to grow larger fruiting crops such as tomatoes, cucumbers, and gourds. Some fruits that can be grown on DWC are melons, passion fruit and berries like strawberry and raspberries. Fruiting vegetables are harder to grow than greens as they require different nutrients with varying NPK ratios to go from a “vegetative” growth stage to a “fruiting” growth stage. These plants require more complex care mechanisms and stresses in the flowering stage could cause premature ripening and fruit spoiling. The quality of fruit depends on the quality of life the plant undergoes during this phase. Fruiting vegetable containers are usually square or round and are typically 10-20L in size. Different mechanisms are used to achieve maximum aeration of roots this includes the use of bubbles in the main reservoir tanks. Some vine crops will require trellising which is a method of giving these creepers a line of support to grown and bear fruit on, this is important to avoid breakage of stems. Vine crops and fruiting vegetables also require a lot more light compared to leafy greens. Fruit bearing is a tough and testing time for plants and the reduced leaf growth during flowering has to be compensated with more sunlight Initiating the process of flowering also requires specific light cycles as well, some plants know it’s time to flower with the shorter days that winter brings. While more difficult fruiting plants can be a more rewarding experience to grow. Location is key when it comes to choosing the crops you want to grow, Hydroponics farming in Bangalore is prosperous due to the location’s elevation and temperate climate. Winters are usually cool and summers do not shoot past the 32-degree heat. Bangalore is an ideal location to grow hydroponically throughout the year. In most places like Chennai, a grower is subject to the changing temperatures of the seasons to be able to reliably grow crops without any climate control procedures. 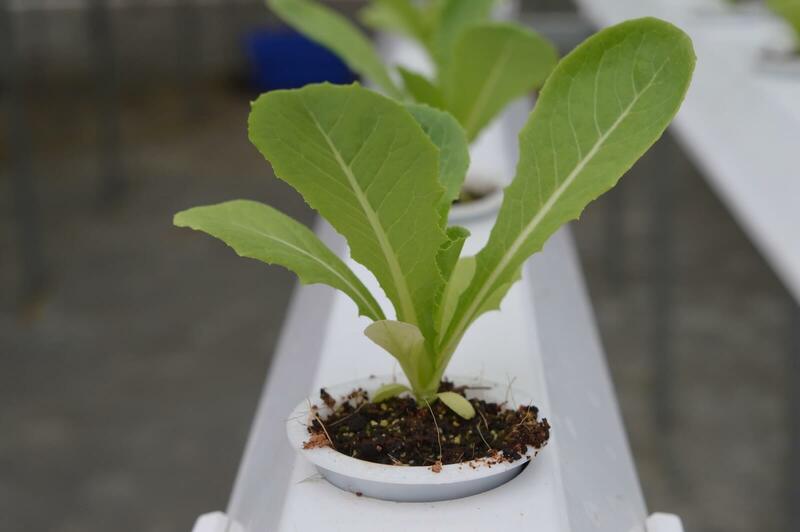 But in the longer run hydroponic kits, crops can grow throughout the year in ideal conditions, a great technique for uninterrupted production. The added benefit of growing in a controlled environment is the low requirement of pesticides and spray based applications, these cause 90% off the residual chemicals on the food we eat. Hydroponics is the future of farming due to its reliance on sustainable inputs and removal of until now damaging farming methods.